Capacity: 80 imprints / min. Printing Speed: Max. 150 prints/min. 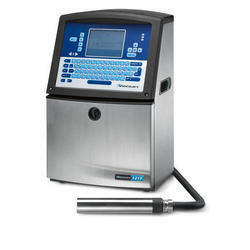 - Auto Feeding & Orientation of tubes with "I" mark Sensor. - Contact parts made of S.S 304/S.S 316L. Quality material the conforms to CGPM Norms. - LEISTER make Hotair tools for Lami Tube Sealing. - No Tube no feeling Device. Working upon the individualistic aspect of our customers upon a no-compromise policy, we have been able to deliver a cherished and genuine category of Semi Auto Coding Machine. Table Top Batch Coding Machine.